Cut the bottoms off of artichokes, snip sharp leaves, and trim the tops. Pull artichoke leaves apart enough to stuff and with your best kitchen tool – your hands – stuff the artichokes, using all of the stuffing. 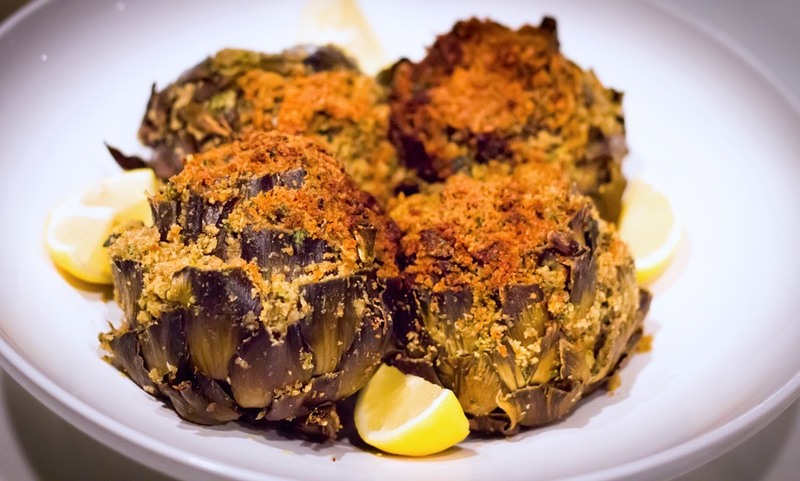 Put in a baking pan and pour a bit of olive oil, about - a tablespoon over each artichoke. Serve with extra lemon slices if desired.